Everyone likes a portable with a bit of panache, and HP has certainly turned the aesthetics dial up to 11 with this refresh of the EliteBook Folio 1020. HP's original Folio 1020 was one of many notebooks modelled on the MacBook Air (i.e. 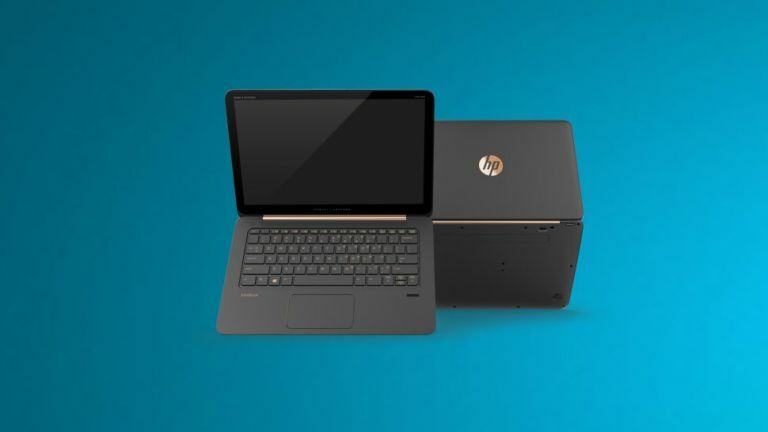 aluminium-clad), but this incoming limited edition model, which is part of HP's new portfolio of devices carrying the freshly launched Windows 10, successfully carves out its own distinct appearance. The notebook's black-and-copper colour scheme looks very tasty (and premium to boot), with a hinge that rivals Lenovo's Yoga 3 Pro in the attractiveness stakes. HP's latest laptop isn't all about appearances, though. It comes with Bang & Olufsen speakers for better sound quality than your average laptop's sound system, which you will doubtless appreciate when watching a movie on the go. HP also notes that the limited edition EliteBook Folio 1020 comes with dual-array microphones and noise cancelling software to better take advantage of Cortana, the digital assistant Microsoft has brought to the desktop with Windows 10 (there's also an HD webcam on board, too). Pricing hasn't yet been confirmed, but it's a fair guess this model will weigh in costing a bit more than the original Folio 1020. HP has promised it will share more details on the price tag prior to the launch of this machine, which will be out this autumn.